This inquisitive cephalopod has decided to leave his watery world behind to come explore ours--but don't worry, he's friendly! Just give his tentacle a shake, and you'll be pals forever. 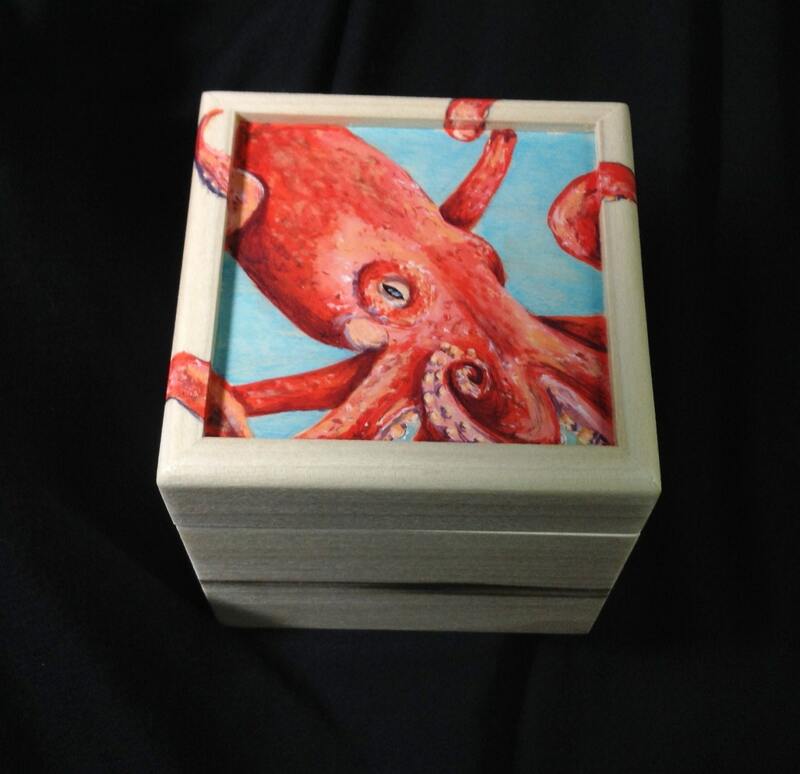 Your lovely little box will be intricately hand painted to order with a vivid orange octopus against a turquoise background. 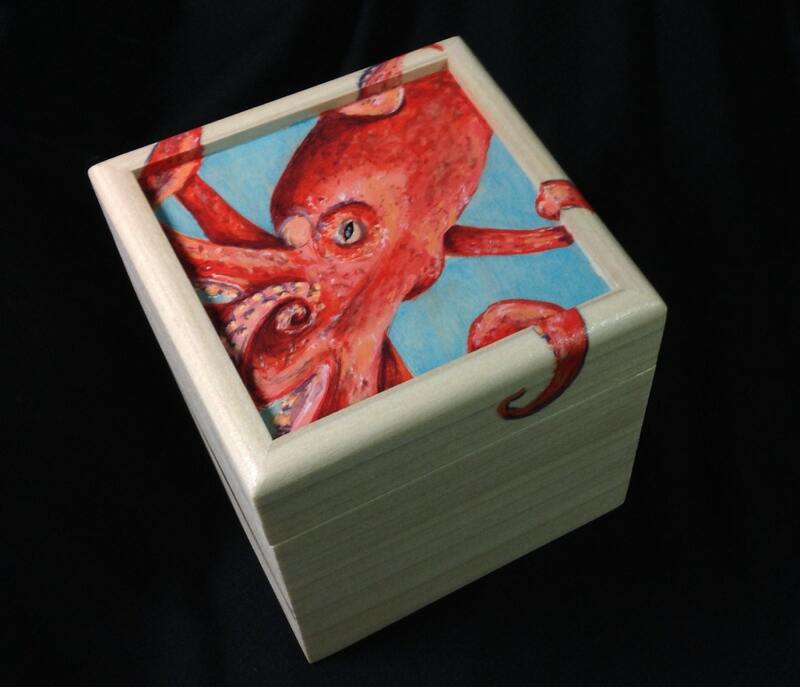 His tentacles appear to come right out of the painting to wrap around the edges of the box lid, creating an intriguing 3-D effect! 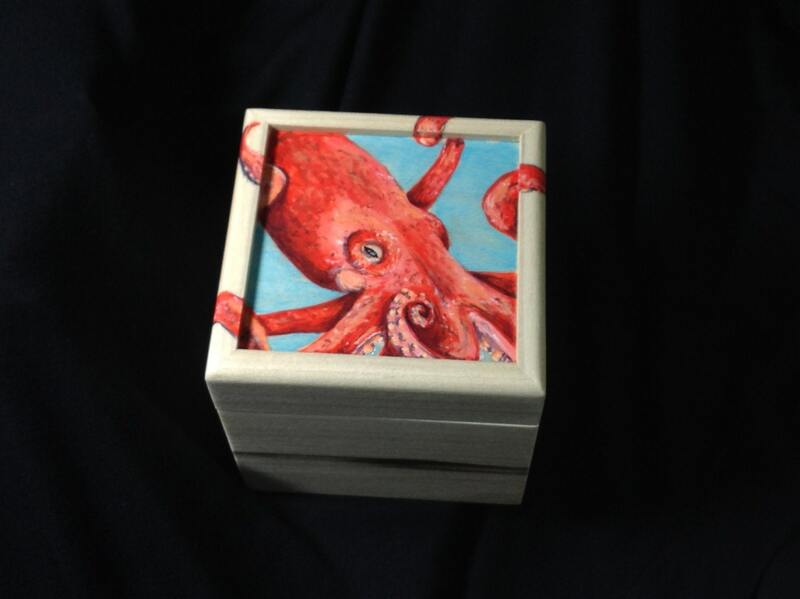 The box is a 4" cube (interior measurement is approximately 3.5") and is a handy place to store small items--paper clips, safety pins, cotton balls, loose change, or anything else you can think of. 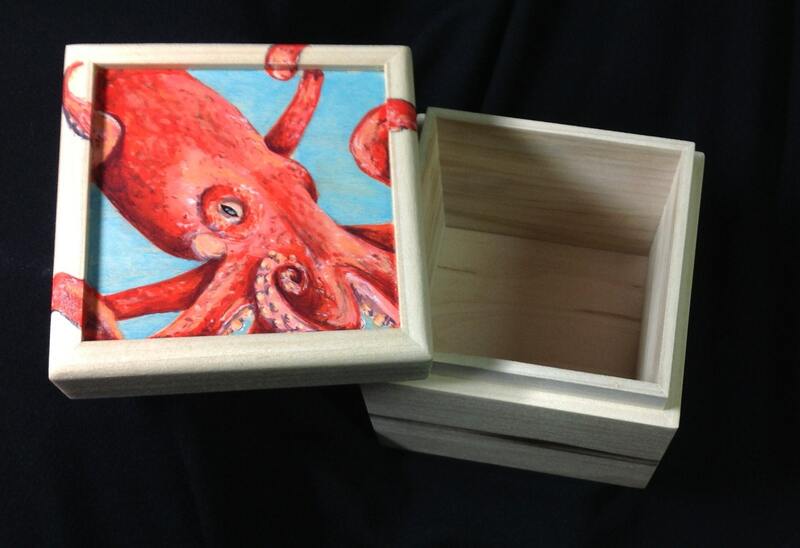 Makes an eye-catching desk organizer or table top accent piece, and a great gift! 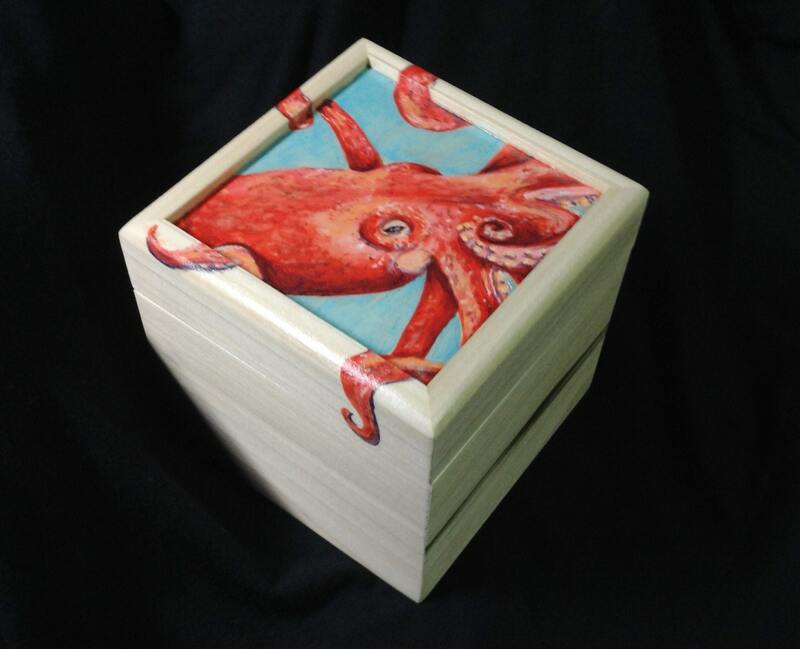 The box is handmade by Designcraft Industries out of solid poplar, and each one is hand-painted using all non toxic acrylic paints and sealers.